AmTech manufactures this miter shaft for a leading supplier of hydraulic steering systems for commercial and heavy-duty vehicles. 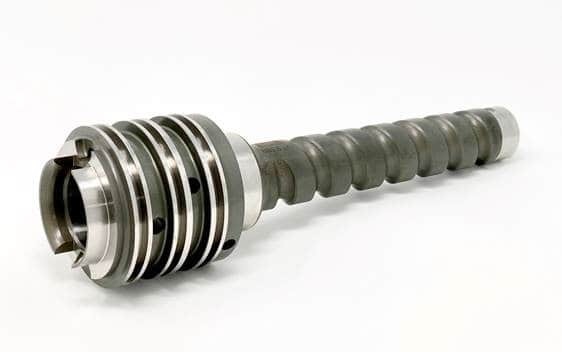 This miter shaft is part of a mechanical box assembly – contained in a one-piece cast aluminum housing, and is supported by double row radial ball bearings to reduce drag and improve performance. The final assembly, in the steering column, is a gear arrangement that is used to sharply change column angles. They are often used in cab-over-engine chassis where the steering wheel is above the steering gear.